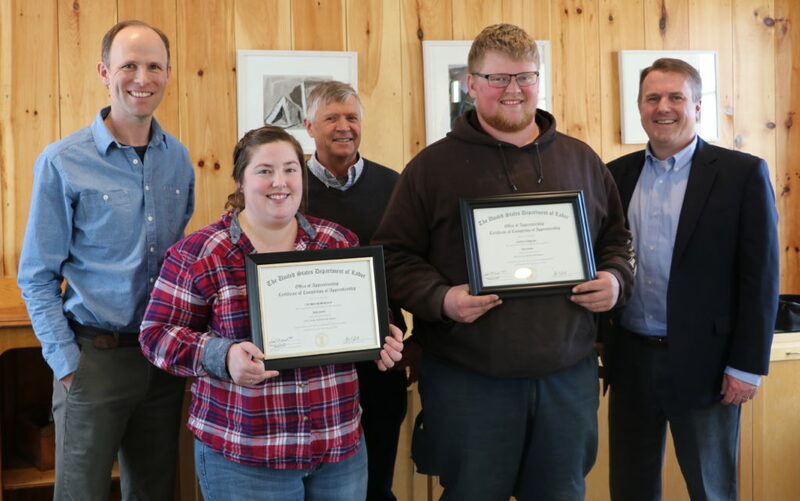 The first three apprentices who graduated our Organic Dairy Grazing Apprenticeship Program in 2018 remain connected to their Wolfe’s Neck Center roots. Kelly O’Connell, Lauren Robertson, and Josh Harlan recently completed the two year, first-of-its-kind residential training program, offered in partnership with NH-based Stonyfield Organic and the WI-based Dairy Grazing Apprenticeship. This comes at a time when an aging farmer population and loss of small family farms is challenging the sector nationwide. As an apprentice, that’s exactly what she did. 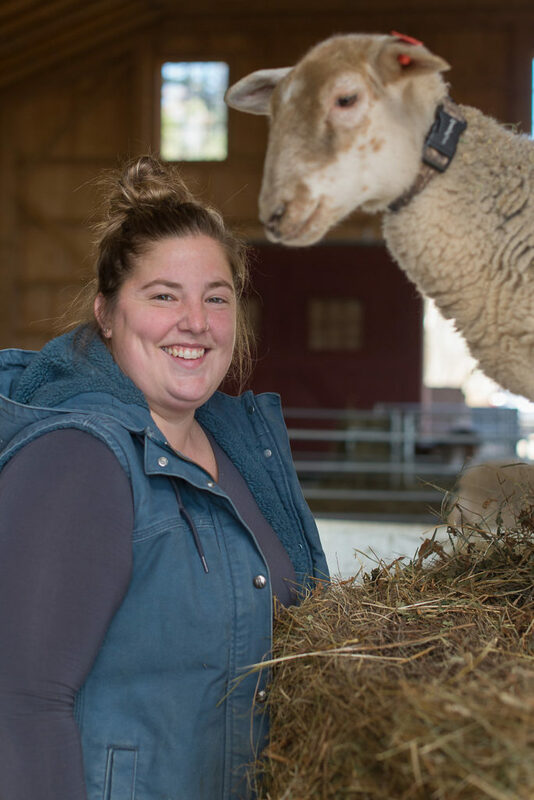 Since graduating the program in December, Lauren has been living in Leeds, ME where she is beginning her own small farm with a herd of Katahdin sheep, meat rabbits, and pigs. She milks at a local dairy farm both mornings and nights two days a week, as well as completes chores for the farm between milkings. O’Connell was one of the first apprentices to join after the launch of the program in 2015. Her interest in cows grew while working on a small family farm near her hometown in upstate New York. After earning an undergraduate degree in Ag Business from SUNY Cobleskill, she applied to the program to pursue her interest in dairy farming. The program gave her a better understanding of how proper grazing management can add nutrients back into the soil, a key educational component of the program. She states, “In addition to basic dairy herd care and management, the Apprenticeship offered many opportunities to learn about other facets within the agricultural and dairy industry. 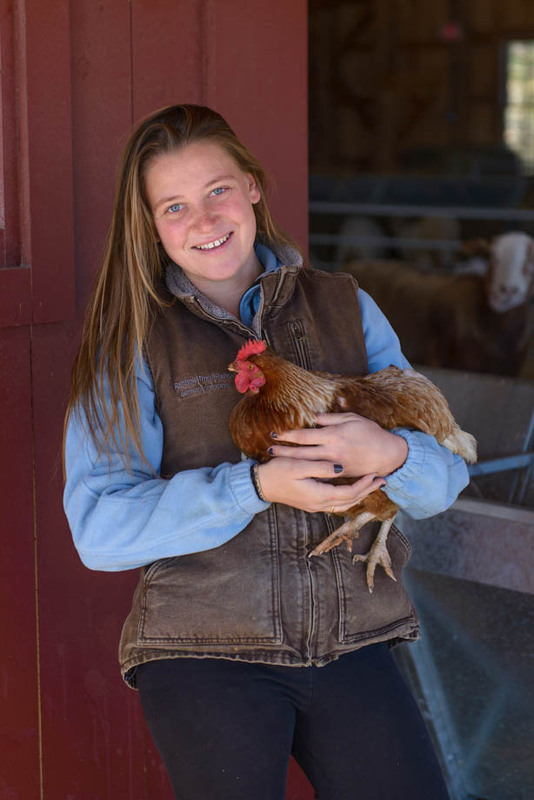 Days spent riding along with professionals within the industry reassured the fact that I wanted to work with farmers.” O’Connell now works as a Projects and Operations Assistant at Casella Organics in Herman, Maine, where she helps farmers improve their soil health while also managing and recycling resources. Harlan came to Maine from Mexico, Missouri after college. He too completed an apprenticeship at Aldermere Farm and found Wolfe’s Neck Center as the next step in his farming experience. 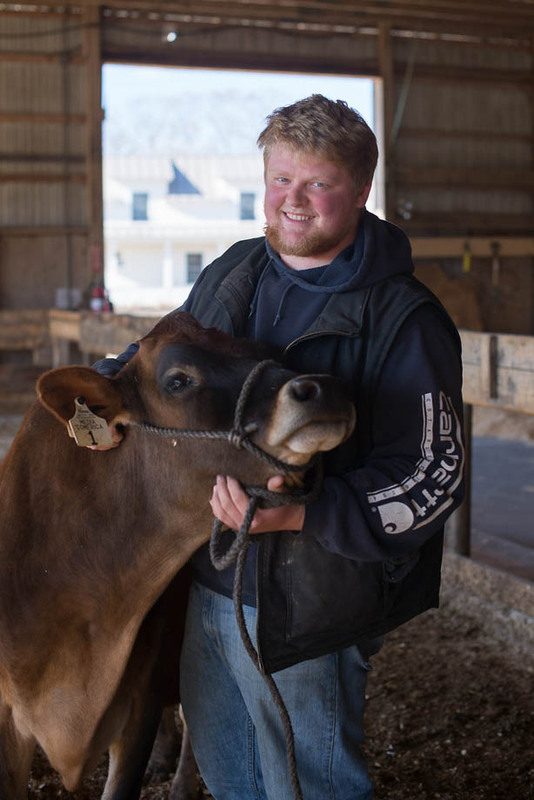 Harlan graduated the program in November 2018 and is now a herdsman at Roseberry Farm, an organic dairy in Richmond, Maine. For additional information about our Organic Dairy Apprenticeship Program, visit https://www.wolfesneck.org/learn/dairy-program/.